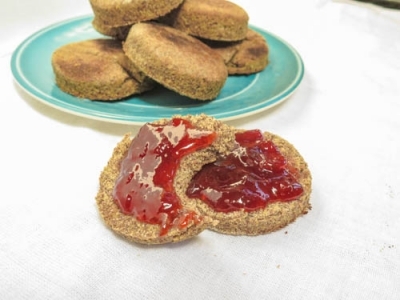 Deliciously nutty and buttery Spelt-Flaxseed English Muffins. On a floured surface, take out dough and knead mixture until it becomes less sticky and more elastic. Then roll out into 1 Â½ inch thickness, cut with a 2â€™ biscuit cutter (18-20 muffins).